If you own or manage an apartment building, you’ll want to do what you can to keep the property safe. You might think locks on the doors or an access control system is enough, but security cameras can provide an extra layer of security to protect your tenants and your property. A video surveillance system can help you monitor your property and keep a record of all activity. For reasons to consider installing video surveillance in your apartment building, read our post below. One of the most important benefits of a video surveillance system is that it will keep your tenants protected from burglars. Security cameras are a huge deterrent for any burglar because they will fear being caught on tape. Additionally, if any burglaries do occur on your property, you will have footage of the act that you can provide to the police, allowing you to act quickly and make sure that the perpetrator is caught. Security cameras are a great way to deter burglars from entering your property, but they can also deter other types of crime. If tenants, guests, or others consider vandalizing or destroying your property, a video surveillance system will make them think twice. 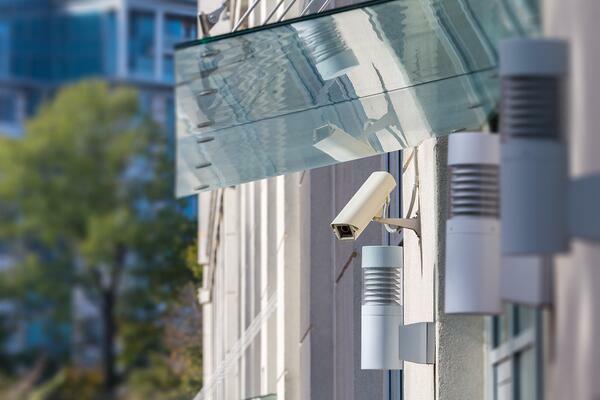 If you have security cameras outside your building, you will deter people on the street from committing illegal acts near your building out of fear of being caught. When you install security cameras in your building, you take an important step towards a crime-free apartment building. Video surveillance provides a live feed of the goings on in and around your building. You can keep track of your building and watch for any suspicious activity. If your video surveillance system is accompanied by a security team, officers can monitor your building and react quickly in the event of an emergency or suspicious activity. If you do not have a security team, you can quickly alert the authorities when suspicious activity occurs and handle the problem quickly. In an apartment building, damage from tenants, damage from visitors or intruders, theft, and other issues such as altercations can occur. With a video surveillance system in place, you will have a record of all of these events to provide to the authorities. Having evidence of any sort of issue occurring is important both to make sure all perpetrators are apprehended and to provide clear evidence to insurance companies when filing claims. Maintaining a record of these issues is the best way to ensure that everything goes smoothly after the fact. Security technology has improved greatly over the years, allowing for new capabilities related to your surveillance system. You can now receive HD footage, which will provide a clearer picture to ease monitoring and evidence gathering. You can also have remote monitoring, where you can view the security footage from your apartment building from an app on your smartphone, no matter where you are. Finally, you can integrate video surveillance with other security systems such as access control, alarm systems, and more. If someone enters the building, your cameras can follow that person’s path to effectively track their activity. If the cameras pick up suspicious activity, they can communicate to alarms to help keep everyone safe. If you already have a surveillance system, you might consider upgrading to these new useful technologies. A secured property is valuable for all parties involved. First, you can expect more potential tenants to choose your apartment, as they may value the security associated with a camera system. Depending on the location of your property, an apartment building security system may be required to keep tenants feeling secure. Increased safety means longer tenures for tenants. Residents who regularly benefit from and use installed security systems are constantly reminded of the advantages of living at your secure complex. When it comes time to sell ownership of the apartment complex, you can include the security system as a selling point. USI is engaged in supporting your security and business by developing customized security solutions that support your business objectives while cost-effectively minimizing risk. Clients receive continuous support from a highly responsive team of professionals including owners, management, field supervisors and officers. Our commitment to quality includes field inspections and audits, as well as investments in innovative solutions for continuous training and compliance. Click below to schedule a no-cost property evaluation to see if your apartment building has the security it needs.